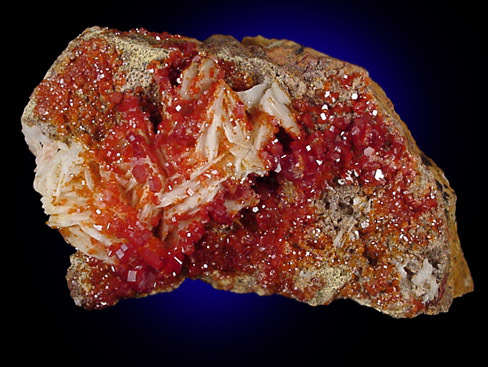 Description: Very showy specimen of brilliant red-orange vanadinite crystals of white barite crystals. 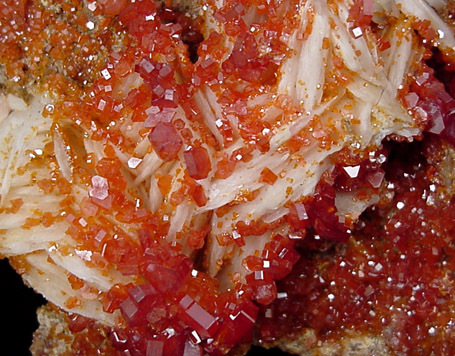 The vanadinite crystals are very lustrous and really show off against the white barite. 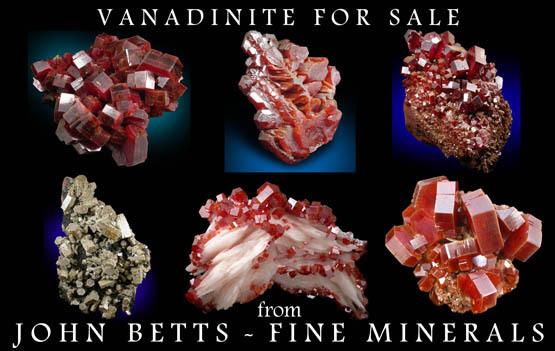 One of the best I have from this recent find.